Have you ever been annoyed by the message which keeps pop-ing up when ever you enter a full screen mode in YouTube? Would you like to disable that annoying message pop-ing up further? Then, here i come with the solution for Mozilla Firefox. Disable HTML5 Fullscreen Alert is an extension for Mozilla Firefox which disable the pop-up message “website is now in full screen”. This add-on should work with all HTML5 videos and pictures. This extension also works with other popular video sharing sites like Vimeo,…. 1. Go to Disable HTML5 Fullscreen Alert Mozilla add-on page, or simply click on the above download link and click on “Add to Firefox“. 2. If Mozilla Firefox asks user permission for installation of add-on. Click “Allow” to continue installation, leave it to abort. 3. Disable HTML5 Fullscreen Alert installation box pops-up. Click “Install Now” to continue installing add-on, “Cancel” to abort installation. 4. On successful installation, Disable HTML5 Fullscreen Alert doesn’t require restart to activate the add-on. 1. In general, you will be greeted with this message whenever you enter fullscreen in YouTube when you enabled HTML5 videos. 2. On installation, you will not notice that message further. Scroll Mozilla Firefox as Smooth as Butter with SmoothWheel. Next story Type Foreign Letters Without Need of Software with Just a Chrome Extension. Previous story How to Resist from Checking Facebook Very Often. 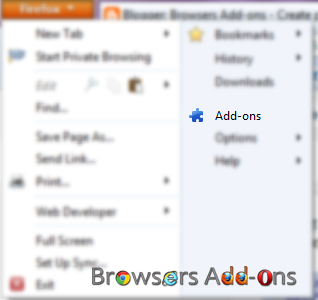 How To Enable Legacy Extensions in New Mozilla Firefox.